Description • The CX12 ceiling lift emphasizes safety, reliability and ease of use. • The CX12 ceiling lift emphasizes safety, reliability and ease of use. • Its signature Halo end panels, which illuminate during use in low light conditions, create a warm glow in the immediate vicinity of the lift. • This helps patients sustain their natural circadian rhythms while caregivers perform vital tasks in a safely lit environment. 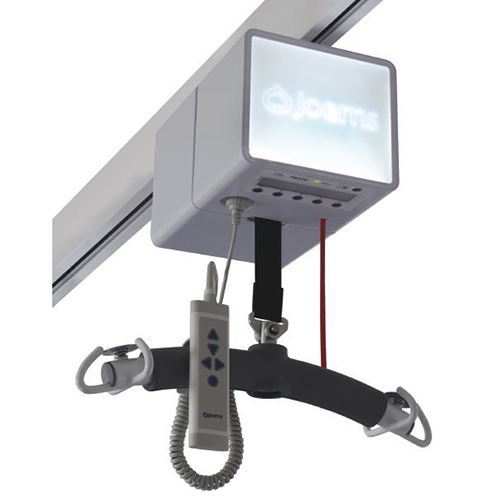 • The CX12's extensive lifting range makes it suitable for a variety of settings, and because the CX12 is always in the room, it can improve safe patient handling compliance, minimize staff injury and reduce causes of Never Events. • Complemented with an extensive selection of track options, accessories and optional installation services, the CX12 can accommodate a wide range of custom layouts to meet individual and exacting requirements.